Wet floors are never an issue when you install 100% Water Proof Cork Glue Down Tiles! Cork Flooring Shop presented to you by iCork Floor LLC. Cork Flooring shop is the on-line shop for iCork Floor. iCork Floor is a distributor of quality cork and cork flooring product. When shopping for cork you want to shop with security and peace of mind. iCork Floor shop allows you to preview the material in your own home. Ordering samples is easy. They are shipped within 2 business days of placing your order. As a shop with a brick-and-mortar office, it is easy to ask questions or ask for quotes before moving the the next stage of your project. Do you have questions? Simply pick up the phone and call us Mon-Fri 9am – 5pm (PT). We are happy to answer any questions you might have about cork, our services or any flooring decisions in general. Our sales staff are here to maximize your knowledge of cork. If you know cork, then we want to know you! We love to talk about this amazing product. Very few retailers have our extensive knowledge of this unique product. We know our finishes. We know our products. We know the strengths and the weaknesses of our product. Do you have a project that needs input? Do you have your samples in your hand but cannot envision the whole space filled with the color or pattern? Our samples are true-to-life samples cut from actual flooring planks that have been wrapped and shipped to you. 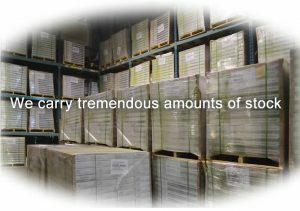 Planks and tiles are not returnable if you did not receive a sample before you ordered. We know our products. We know our colors. We know our patterns. We can help offer guidance on how it will look when finished or how to go about choosing between two samples. We have seen our products in action. We have helped people make decisions about patterns, color, direction of install, etc for years. We have the knowledge to help move your project from “creation” to “completion”. 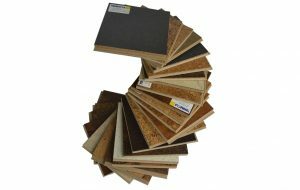 iCork Floor imports quality cork flooring, cork wall tiles and cork underlay. Our warehouse ships direct to the homeowner – that’s you. You skip the middleman entirely. We order it from our manufacturers and they ship it to us. The next stop is your driveway. As a green building material, we believe cork should travel as little as possible to ensure its carbon foot print is kept as small as possible. Our biggest competitors use storage facilities and local retail outlets to sell their products. That means a shipment could move multiple times before it finally arrives at your door. Ever wonder why their prices are so much higher than ours? It’s simple. Each time a floor is moved, it costs money. If one of the Big Names in cork sells their entry level product for TWICE the price as ours, it means it has been shipped and delivered to twice as many destinations. The truth is, every time a middle man is involved, they double the price of the product. At iCork Floor we don’t need to do this. We ship straight to your sidewalk. No one else is involved. Just you and iCork Floor. Other than purchasing an entire shipping container full of cork flooring and having it delivered to your front lawn, this is the closest you will get to direct-from-the-factory purchase. Give us a call or send us an email. We can help.